Can't wait to see what new hardware will be announced next month, I'm getting antsy. So far my 6 plus seems very peppy on this one. Pb7 was pretty stable but I would occasionally still get a respring when unlocking my phone when it was being unlocked and message app was up. Also had it freeze some while it was preparing this update. Had Uninstalled SwiftKey because it was laggy on the last beta as well. Everything seems to be working great and back to quick again with this one! Did the update a few hours ago. Now I get this popping up every once and a while. Anyone else getting this!? I saw it when I woke up this morning. Haven’t seen it since. 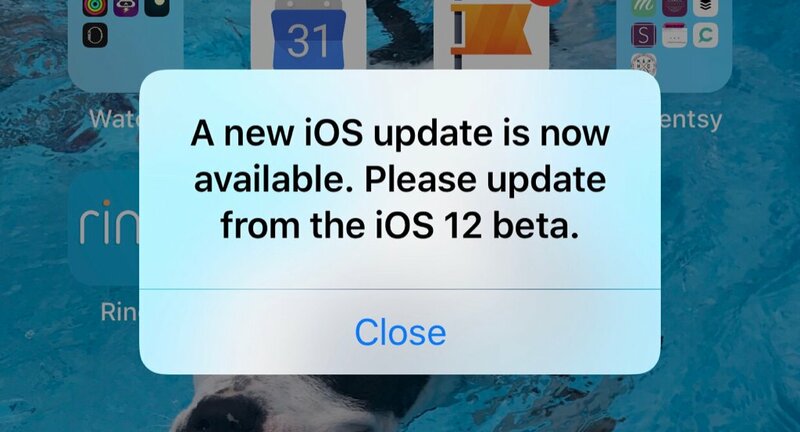 Hi, I’m new to beta, how many more betas we will get before final version & what we need to do once we get final version? We’ll get probably one more, maybe 2. Depends when the event is. Did once. Hasn't happened since. Mine popped up the morning after the install and I haven't seen it since either. Has anyone else’s battery life been crap after pb8? Interesting, luckily I have smart battery case.